Echinacea + vitamin C and zinc for children over 2 years old. - Jelly tablets with a pleasant taste. Do not contain gelatin and gluten! Certified - Vegan! 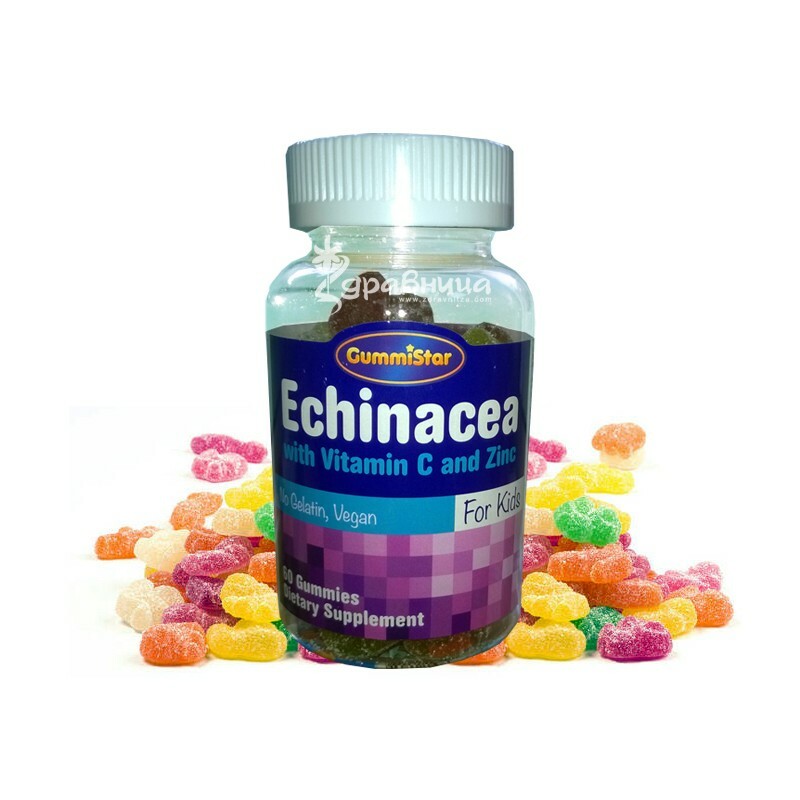 Echinacea + vitamin C and zinc for children - molded tablets with a pleasant taste. Vitamin C - 30 mg.
Corn syrup, sugar, water, pectin, citric acid, natural flavors and colors. gelatin, wheat (gluten), milk, eggs, soy, tree nuts, dastatsi, artificial flavors, animal derived products, preservatives. Not recommended for children under 2 years of age due to choking hazard. Do not use as a substitute for a balanced and complete nutrition. For children over 2 years and adults chewed toffee 2 tablets daily.